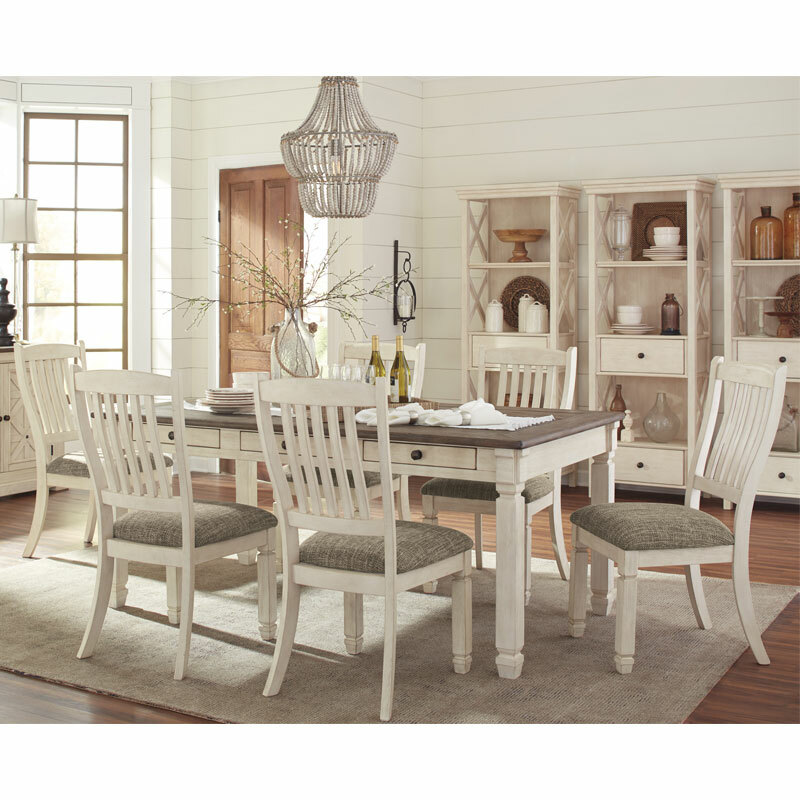 Enjoy beautiful cottage style in the classic Bolanburg farmhouse table. With a rustic planked top and six convenient drawers, this table serves up casual with a vintage twist. The gently distressed tabletop creates the perfect spot for an impromptu gathering, with no need to head to the linen closet for extra place settings. Keep placemats, napkins and utensils on hand in the table's six built-in drawers-very practical for any living space.